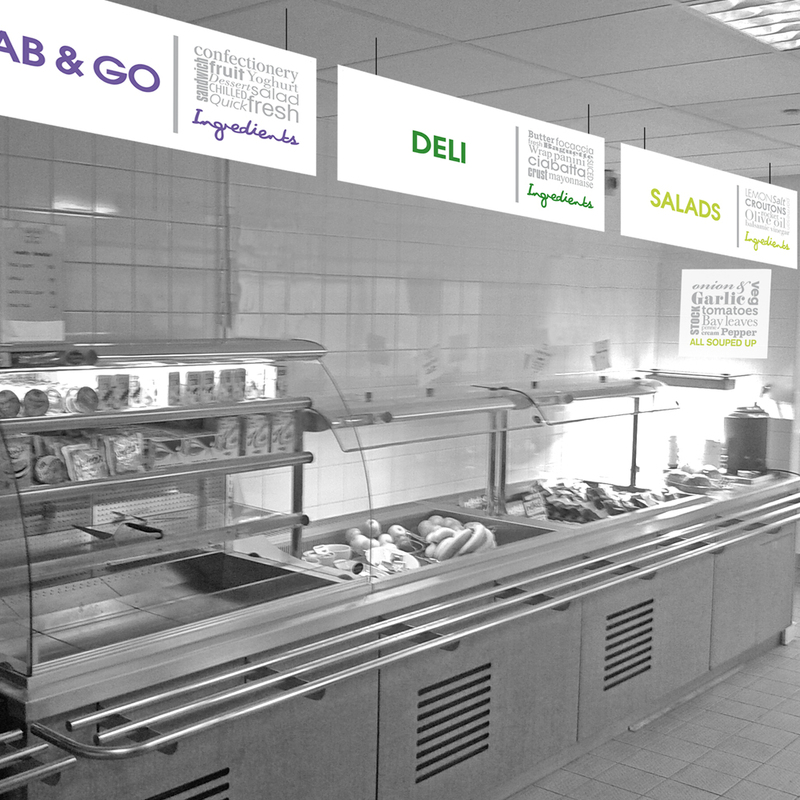 We worked from the company's brand guidelines to create boards, vinyls and posters to help inject their branding across their onsite catering unit. This improves the unit visually and help's increase spend. We work to help build brands, or work from current brand guidelines to develop new ideas and possibilities.